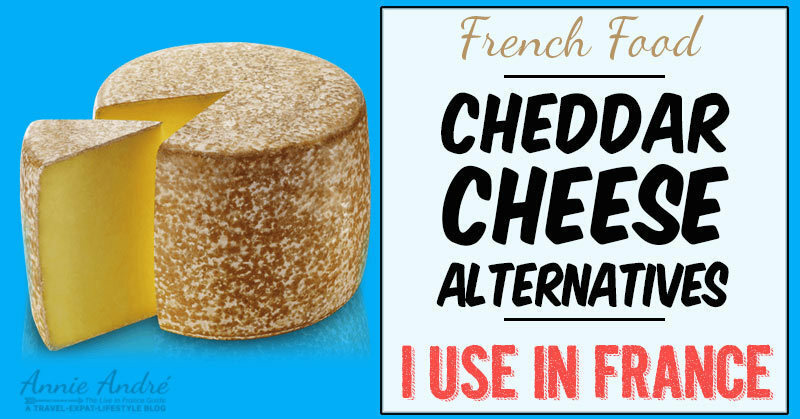 Cheddar isn’t always available where I live in France so I’ve found some alternative cheeses that work just as well if not better for my recipes that normally call for Cheddar.. 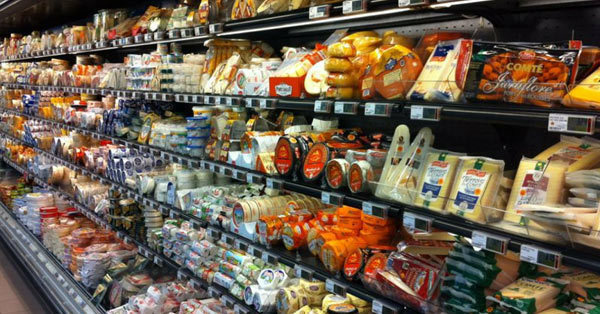 Walk into any decent sized grocery store in France and head over to the cheese section. What you’ll see is a myriad of cheese varieties that will make your head spin. Now try to find Cheddar cheese. If you’re in a smallish town or outside Paris, look closely because you either won’t find any or you’ll see one single type, maybe two of yellow aged cheddar cheese. I’m not saying it’s impossible to find Cheddar cheese in France. I’m simply pointing out that Cheddar isn’t a popular cheese in France relative to the over 450 different cheeses produced and consumed in France on a regular basis. Some of my French friends don’t even know what Cheddar cheese tastes like while others jokingly tell me Cheddar is “fade” or “sans goût” tasteless, compared to Emmental, Camembert and Raclette, the three cheeses most consumed in France. It’s not their fault. Most of their experience with Cheddar cheese is limited to eating Cheddar cheese on a burger or American cheese (that flat square cheese) on a McDonald’s hamburger. You might be interested in reading about how the French love McDonald’s. My daughter’s best friend’s father, Franck, is your typical French guy. When I say typical, I mean he represents a good majority of the French population with regards to his views. He’s proud, almost to a fault when it comes to French customs, culture and cuisine. I say this with the utmost respect of course because I’ve learned so much about French culture thanks to my French friends. He believes that baguettes are a daily thing consumed with dinner and maybe even for breakfast. No, French people don’t eat croissants every morning. Certain French dishes must never be tampered with, ever, never, ever! Wine can and should be consumed with dinner on a regular basis, not beer. And most of all, cheese is important. 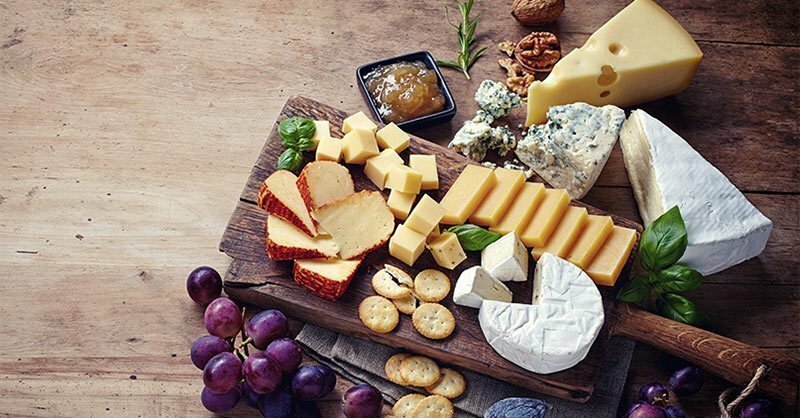 You should try to have a variety of cheeses on hand to eat after meals but Cheddar cheese is not one of them because it’s NOT A REAL CHEESE which really means, he believes it’s beneath French standards. Not my words. But I digress. It is what it is and I can’t nor do I want to change how the whole country looks at cheese. What I really want to talk about is the cheeses you can use in place of Cheddar. First of all, I’m not a cheese expert and I rarely ever ate cheese before moving to France back in 2011. Since moving to France, I’ve sampled cheeses I didn’t even know existed and I’ve grown a new appreciation for the art of cheese making which dates back to the time of the Egyptians over 7,000 years ago in present-day Croatia. None of the cheeses on my list taste exactly like Cheddar and a couple taste nothing like Cheddar but they still work well in many of my recipes which call for cheddar. Out of all the cheeses on this list, Cantal is probably the most like Cheddar. Real cheddar. Farmhouse cheddar, aged cheddar—the good cheddar. Cantal is also one of the oldest cheeses in France, pre-dating Roquefort (11th century) and is even considered a cousin to Cheddar cheese. 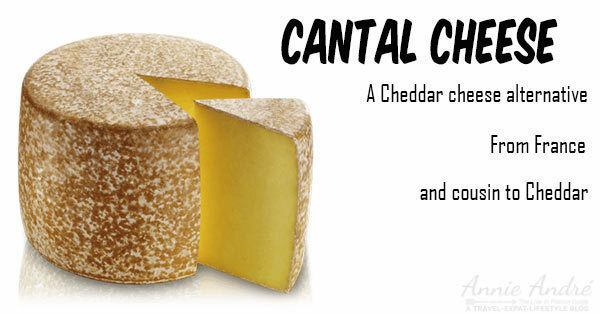 It’s believed the Romans brought Cantal to England where it eventually became Cheddar cheese. 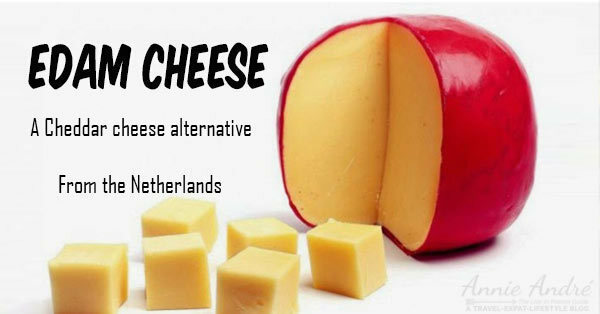 Edam is a semi-hard cheese originally from Edam in the Netherlands. The interesting thing about Edam is it never goes bad thanks to its red wax outer shell. The cheese just gets harder and harder as it ages which is kind of weird. Texture-wise, Edam is similar to a young, non-aged Cheddar cheese and tastes slightly salty but can also taste nutty. BabyBel was created by Groupe Bel, a French company in the Jura region of France. If you’ve ever tried BabyBel, you’ve actually already tried Edam cheese because the BabyBel brand of cheese is the same as Edam cheese. They just don’t call it Edam for reasons unknown to me. 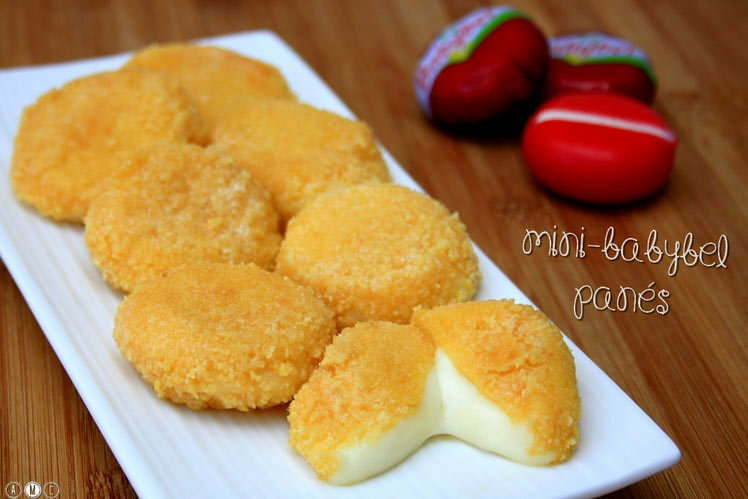 Here’s a recipe for breaded Edam cheese (in French). Mimolette is a semi-hard French cheese with a deep orange colour and nutty tang which grates and melts similar to Cheddar. The secret to the earthy nutty taste and its textured crust of Mimolette cheese are microscopic cheese mites that live on the surface of most aged cheeses, chowing down on the microscopic moulds that grow there. For most aged cheese, these tiny bugs are a nuisance and gently brushed away. 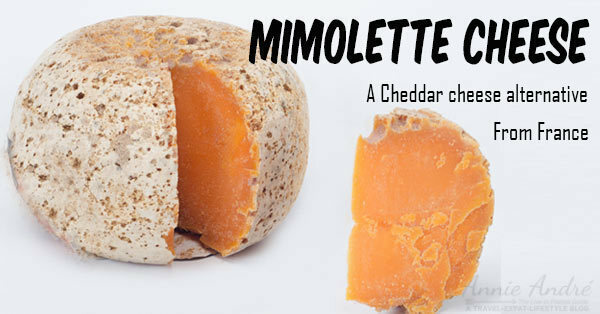 For Mimolette cheese, mites are encouraged. YUM. Back In 1675, during the French-Dutch war, Jean-Louis Colbert, the French minister who served King Louis XIV prohibited the import of Dutch cheeses into France. The people who lived in the northernmost region of France, which is now Belgium had strong cultural ties to Holland and loved Dutch cheeses—they complained wildly about the ban. 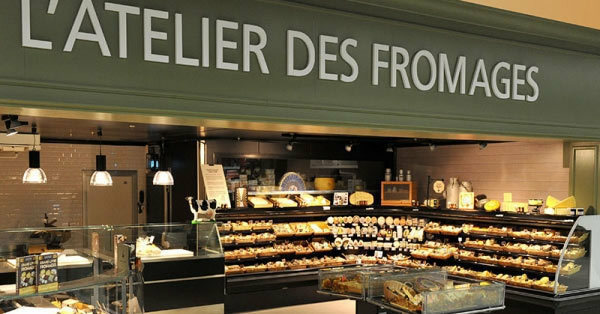 Colbert ordered the farmers of the region to produce their own Frenchified (better version) of Edam cheese and they did. That is how Mimolette cheese was born. 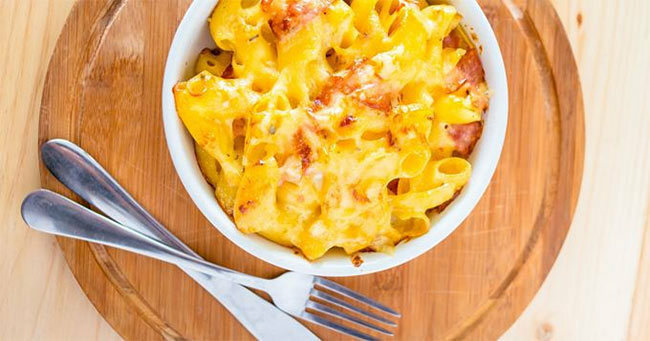 Here’s a Mac, bacon and Mimolette recipe (in French). Another Dutch cheese which is popular throughout France is Gouda Vieux or aged Gouda. It’s a semi-soft cheese with a distinctive crunchy crystal texture which is oddly satisfying to bite into. 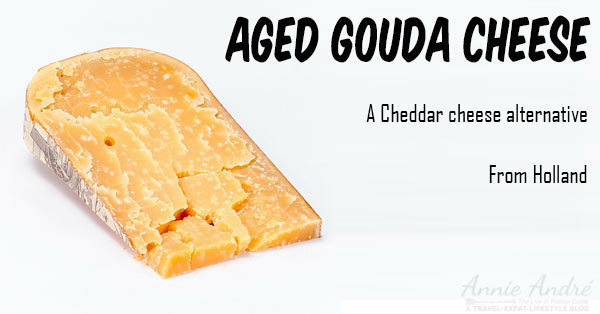 I love making grilled cheese sandwiches with aged Gouda but goes well with a classic burger too. 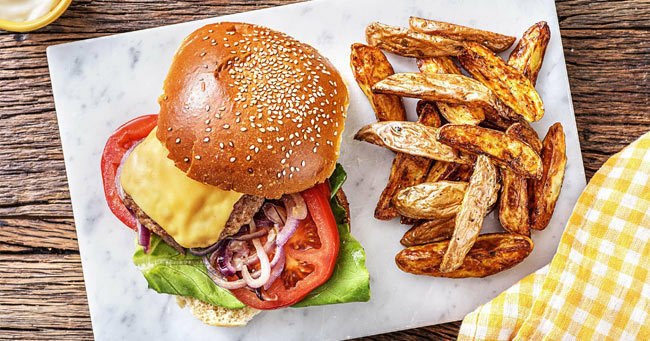 HelloFresh France, the meal-kit company featured a Gouda burger on its menu. If you’re interested in learning about HelloFresh, I did a video un-boxing which you can watch here. 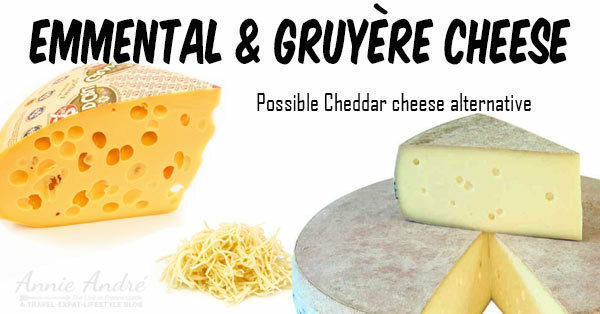 People often get confused between French Gruyere and Emmental. They are often interchangeable in recipes so I included them together on this list. Emmental is a Swiss cheese recognizable the world over thanks to its holes. You probably know it simply as Swiss cheese because that’s what it’s called in the US and Canada. French Gruyere is France’s version of Swiss Cheese and also has holes. Swiss Gruyere has no holes. Although neither Emmental or French Gruyere taste anything like Cheddar, I included them on this list as a Cheddar alternative mainly because they are used to make the famous French Croque Monsieur which is France’s version of a grilled ham and cheese sandwich topped with Bechamel sauce. Do you know what “Croque Monsieur” means? Mister Crunch. Sounds better in French, doesn’t it? 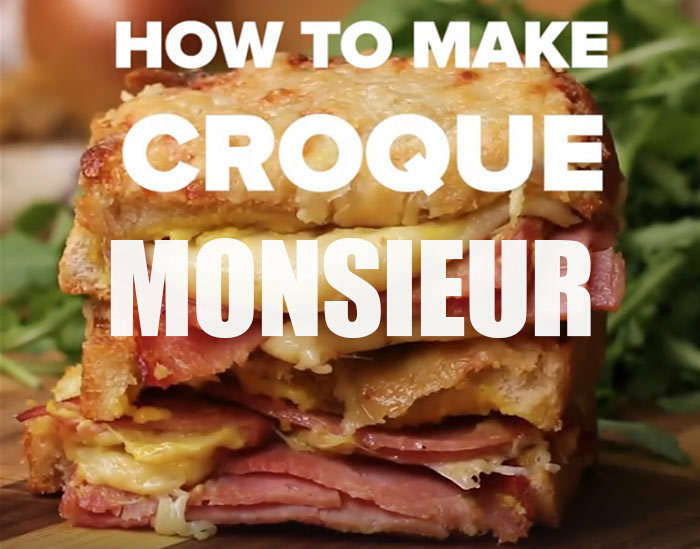 Tasty has a quick video that shows you how to make a Croque using Gruyère cheese. Both of Emmental and Gruyère are baking cheeses that melt extremely smooth. And they have a distinctive taste that isn’t too overpowering which explains why there are so many French recipes that use these two cheeses. Here are some other recipes that use Gruyere or Emmental (Swiss cheese). Mac and Cheese– I use Gouda & Cantal with a bit of Blue cheese. 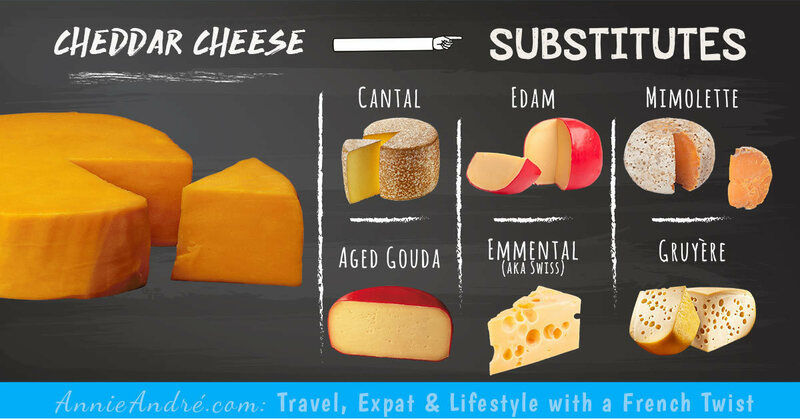 Sandwiches– Swiss, sliced Mimolette, Cantal, Gouda, Edam or any cheese I want to try. Omelettes– I don’t particularly like Swiss cheese omelettes but all the other cheeses on this list go well inside of an omelette.